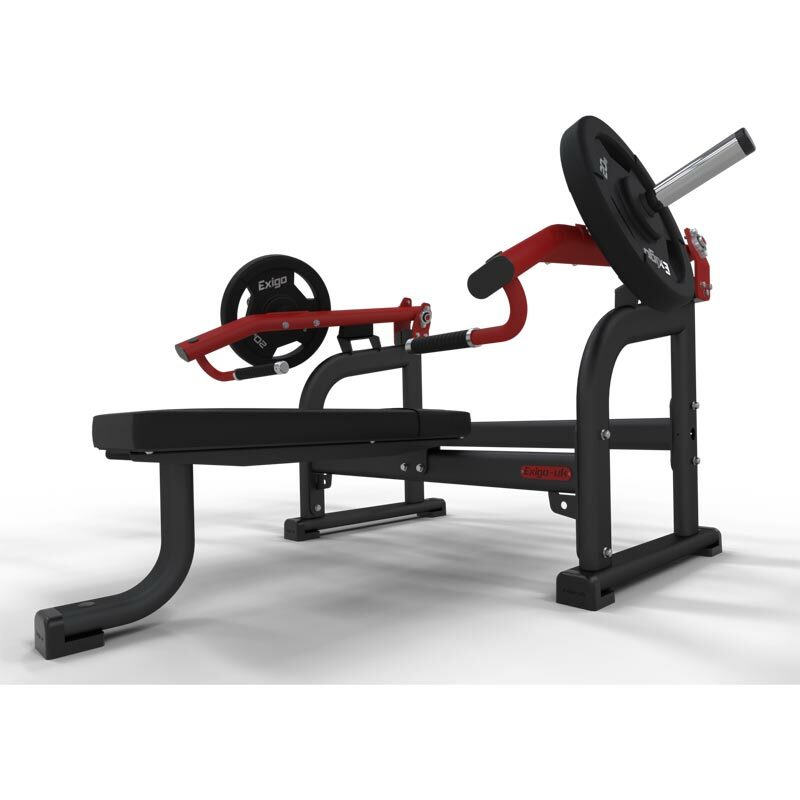 The Exigo Plate Loaded ISO Lateral Flat Chest Press is designed to simulate a flat Olympic style bench press movement and work the pectoral muscles with a natural anatomical correct movement pattern. With the combined benefit of a converging axis this unit offers a dynamic exercise option. ISO lateral technology allows users to move both limbs at the same time, one at a time, alternating, or with different weights for each. High impact plastic mount with integrated feet to provide a secure, stable base with hidden floor fixing points. Easy to understand exercise placards featuring instructional diagrams, targeted muscle groups and QR code. L 1660mm x W 1901mm x H 989mm.